It is possible to prepare different dishes from buckwheat: sometimes they are simple, sometimes — gourmet, but always incredibly tasty and healthy! Buckwheat was a traditional agricultural crop of the Bizeljsko region. Later it was replaced by more profitable and yielding wheat. At the end of ХІХ century, when grape phylloxera destroyed almost all the vineyards, it was buckwheat that saved the locals from hunger. 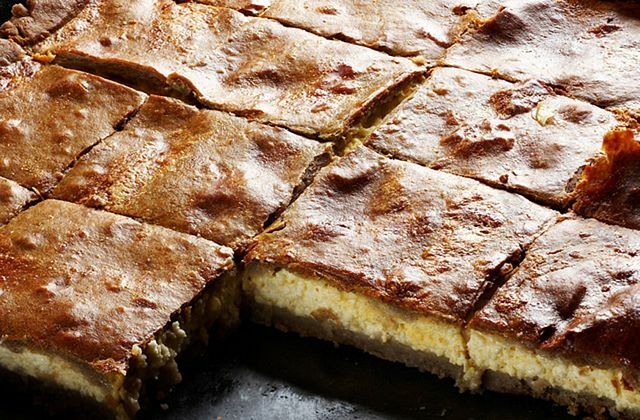 Buckwheat pie in Bizeljsko style is an ancient dish in the Bizeljsko region and the surrounding area. This is a salted buckwheat pie (buckwheat bread) with curd filling. The bush telegraph says that the buckwheat pie was sometimes cooked during heavy harvesting time at the vineyards, during the big holidays (Easter, Memorial Day, St. Martin’s Day, Christmas, etc. 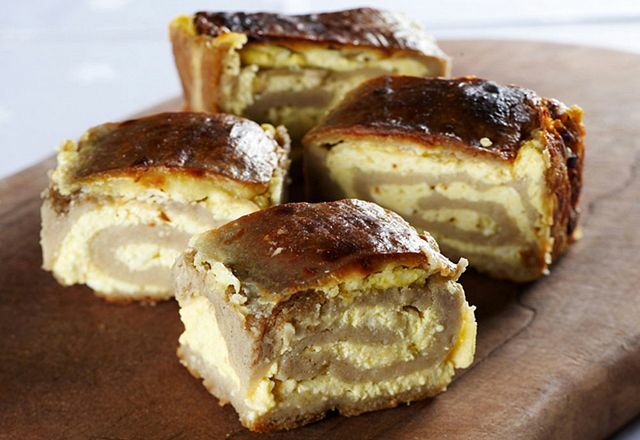 ), as a snack for wine tasting, and today it is served as a salty dessert. For the dough: 80 dkg buckwheat flour, up to 1.5 L water; for the filling: 1.5–2 kg cottage cheese, 2–3 eggs, salt, 10–15 dkg oil, 2 dL sour cream. Add salt to buckwheat flour, pour boiling water, allow the mass to cool down, mix with a little amount of butter, knead the dough, and divide it into 2 or 3 parts. Put pieces of butter on top of the filling. Then shape the dough layer into a roll and put on a baking sheet previously oiled or lined with baking paper. Bake a little more than 1.5 hours. First 20–30 minutes bake the roll at 180 °C–200 °C, and then lower the temperature to 160 °C–170 °C. Take out the pie and cover it with sour cream (you can do it twice) and bake until ready. Cut the buckwheat pie into pieces when it is slightly cooled.